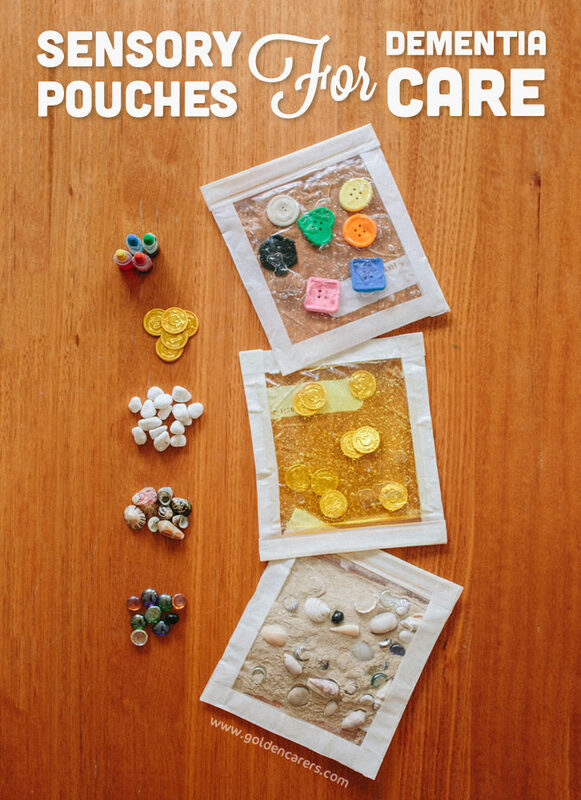 These touchy-feely sensory pouches (also known as squish bags and sensory pads) are a wonderful way to explore the senses. 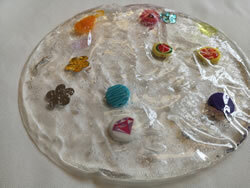 Filled with interesting textures, sensory pouches are stimulating to look at and touch. They are also so easy to make! Making sensory pouches is a quick and inexpensive way to make an engaging and relaxing sensory activity for people living with dementia. 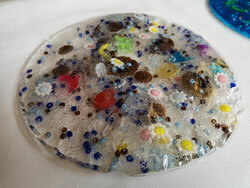 Anything small and soft (sharp items will perforate the plastic) such as: Buttons, coins, plastic flowers, shells, river pebbles, glitter, beads, sponges, pearls, flat marbles, leftover game pieces, rubber ‘sea’ toys. Open zip side of bags and pour in gel, sand or shaving cream. 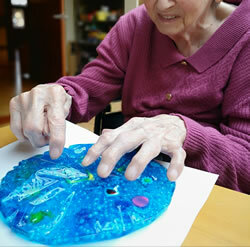 Clients living with dementia should be supervised at all times while handling the sensory pouches. We'd love to hear your feedback on this activity! I came across this activity suggestion and i tried it.I played around using different kinds of beads, buttons and food coloring. Instead of using a ziplock bag, i used a plastic balloon as it has a stronger material and sealed it with heat. 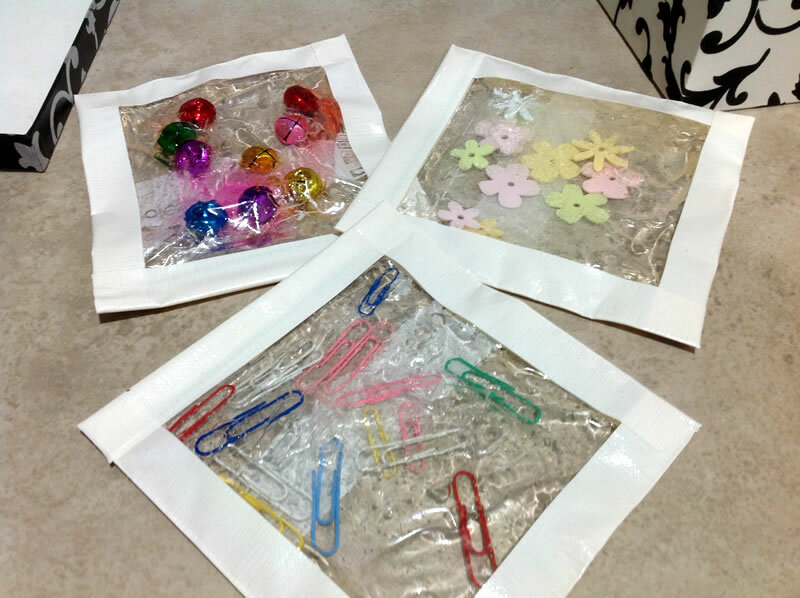 Thank you so much for sharing how you made your sensory pouches complete with photos! They look amazing! Wow! Thanks so much for your feedback Leticia, this is so good to hear! Great Idea! Made several of these yesterday and they were a hit. I picked up some fake "snow" (small styro beads) at the dollar store to use instead of sand. Used odds and ends of mini rubber bands, buttons, washers, flat marbles & paper clips. 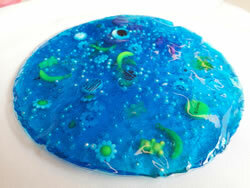 Hair gel, also from dollar store worked well, I added a few drops of gel food color for mixing by residents. The shaving cream was least favorite as it got thin quickly. Thanks for the feedback Candice! Love that you used all items from the dollar store, perfect! Love to hear how it goes Leticia! I'm intrigued about trying these! I'm not sure my residents would be able to help make them but I'm sure they'd find them interested if I made them and had sensory sessions with them! Great idea. Love to hear how it is received Oliver. Thanks for your feedback! I am going to try this with my residents as well, thank you so much. I have made these with great success using rice. Using rice is a great idea! Thanks for your feedback Maria. I made this today. It's been a great hit with my Life engagement unit. Thanks so much for your feedback Diana! Thanks for your feedback Julie! Thank you so so much!!! I have tried them and they are absolutely BRILLIANT! 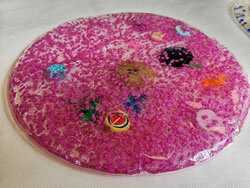 I have used hand gel, pebbles, buttons, bobbins, sand and glitter stars ..... not altogether..... ha ha.....but so good for our blind residents, carers and Manager too! Just make sure properly sealed. So great to hear Anthea! Thank you so much for your feedback! oh! So sorry to hear that Genevieve! It sounds like they may not have been sealed adequately. The ones we made turned out so beautifully and have lasted and lasted! I will try make these for a client of mine from a religious group and try and incorporate religious items of the faith. Ant ideas of where I may get religious small items? Try the Op shops. I found a whole bowl of religious pendants in our local St Vinnie's a month or so ago. These are great, I have been wondering if these would work being attached to a table so they cant be moved for those residents who tend to rip magazines of screw things up when they a fiddling. I also have a gentlemen who bangs on a table for no reason I can find at this time. Any thoughts would be appreciated. I am certainly going to make some. Thanks for sharing. could you use hand sanitizer inside the bags? Hi Julie, we haven't tried but I'm not sure this would work as well. I would stick to gel or sand! You can pretty these up with fancy duct tape they sell in Office Works too. Must give this a try - will try and incorporate this into an activity with low care residents too ! Good idea Josephine, would love to hear how it goes! Thanks Joanne, love to hear how you go with it. definitely giving this a go for our blind resident with dementia. Oh Marguerite, what a great idea, let us know how you go! Would love to hear how you go with the activity Jerri! I just HAVE to try this!!!! It looks fabulous! My imagination is running wild now with what I can put in the bags!!! Thanks!!!! Thanks Deb! We'd love to hear how you go with it!